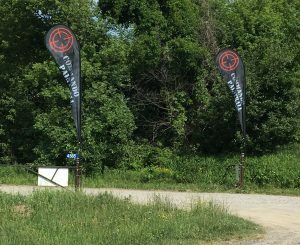 Teardrop flags can be used inside and out, and can bring your event to the next level! We can set up and complete your attractive design. 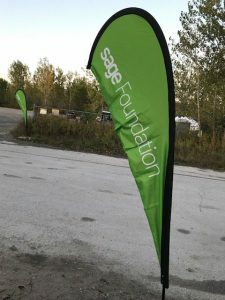 Teardrop banner flags are ideal for business, social and community events. Indoors or outside, our flagpoles are going to stand out. 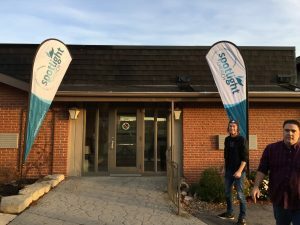 Each flag uses an aluminum flag pole to ensure your flag is visible from top-to-bottom. 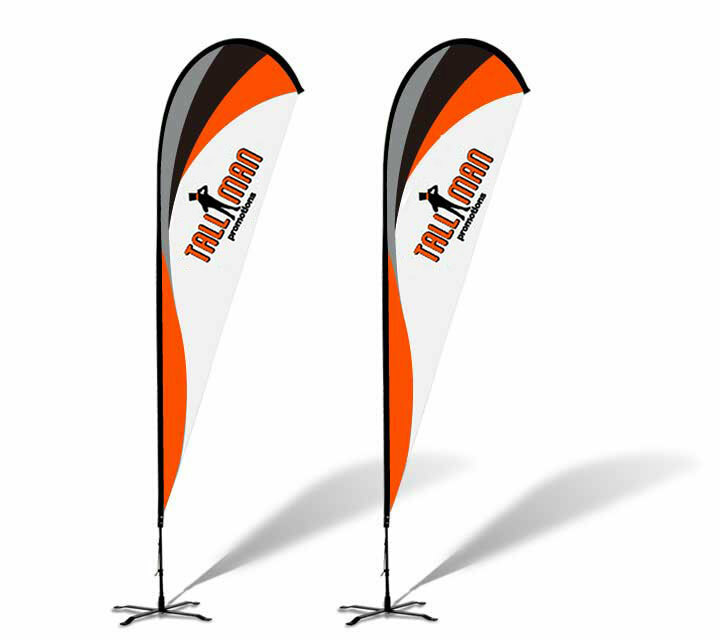 Flags have interchangeable bases, a four-planked base for indoor and stakes for outside to keep the wind at bay. 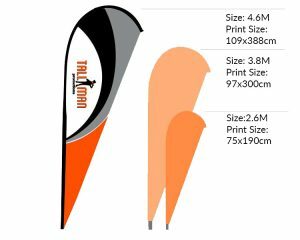 TALLMAN.PROMO flags are single or double-sided. Single-sided flags show the mirrored design on the back. Double-sided flags allow for two different messages on the front and back with blockout material sewn between two layers. Each flag comes with a complimentary bag and stand. This product can be printed with a dye sublimation or screen printing process. For more information, visit our Production Methods page.